20 Natural Hair Hacks Every Woman Should Know | Natural Hair Rules!!! Natural hair can be a challenge at times. Whether you are a seasoned veteran or a new natural, here are some hacks you can use the next time your hair gives you a hard time. Some of these tips are common knowledge, while others are life hacks you never thought of. Either way, this is an easy list that you can bookmark for future reference. 1. Wash and style you hair in sections so that it is not overwhelming.Detangle your hair under running water with loads of conditioner. The weight of the water and the slip of the conditioner will make detangling much easier. 2. Detangle your hair from end to root NOT root to end. 3. Don’t let your hair shrink and tangle during the wash process. Wash your hair in braided sections. You can unravel the braid, wash and rebraid to really get to all of your hair strands. 4. DON’T make circular motions while washing your hair… unless you want tangles. Scrub your scalp and let the shampoo run down the hair shaft. 5. Hair conditioner doesn’t have enough slip? Add a few drops of your favorite carrier oil for more slip. 6. Want to avoid frizz when drying your hair? Trade in your towel for an old t-shirt. 7. Do your ends get really tangled? Do your twistouts frizz at the ends? Experiencing excessive breakage? It’s time for a trim. 8. Use a headband to pull your hair into a puff. Too tight? Stretch it out on the back of a chair. To put it on, wrap twice around your neck —without choking yourself — then put it on. 9. Want to wear a turban or headwrap this summer? Here’s a tutorial! 10. Need fashionable headbands? Check out your local teeny bopper store. They have tons of options at an affordable price. Bonus: Check out your local fabric store for great headwraps; check out the bargain bin for a steal. 11. 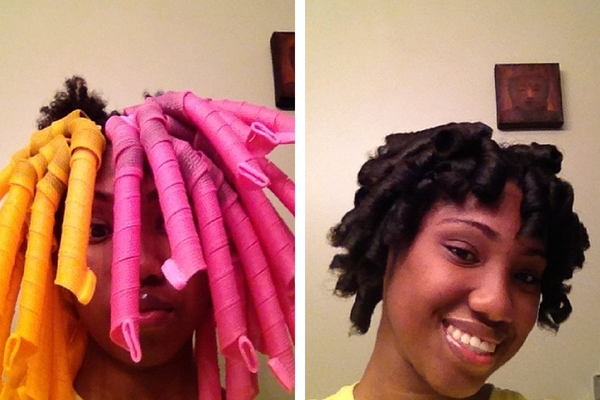 Tired of your twists not drying by morning? Squeeze out excess water and let them air dry before twisting. Check out this article for more tips to get your hair to dry faster. 12. Want more defined twists? The wetter the hair, the more definition — and tighter the curl. 13. Want more length? Style on damp, not wet hair. 16. To set your style, give your hair a blast of cool air from you air dryer. 17. Does your hair need moisture, but you don’t want to wet it? Try steaming your hair in the shower. You can also try the QRedew handheld steamer or a traditional steamer. 4 Ways To Style Your Natural Hair with a Handheld Steamer. 18. Need to lay your edges? Spritz a little bit of water followed by a butter or gel of your choice. Tie your hair down until it dries. Then Voila! Your edges are laid hunty! 19. Deep condition you hair with heat for maximum conditioning and moisture payoff. 20. Looking for an alternative for those “homely” looking headwraps at night. Try a satin pillowcase! So there you have it! 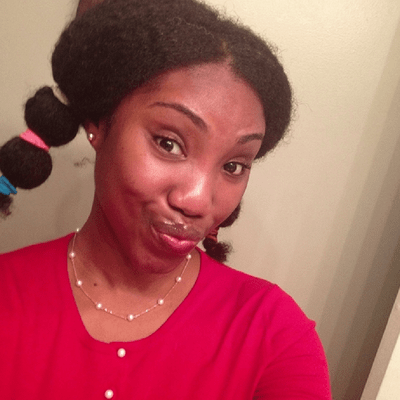 20 hacks for your natural hair! Do you have tricks to share? I’m a newbie to #teamnatural. I’ve been transitioning for 9 months and I’m loving it so far. I didn’t do the big chop so my straight ends are a bit bothersome but I’m loving my natural curls and will not be doing the big chop. Flexi rod sets have been my go to. At night, I pineapple my hair. Your blog taught me some things that I didn’t know. Has anybody ever used the Wen products? Yes, I did and they left my hair a mess, along with trial and error I got breakage dull weaker hair it took a while to get my hair looking and feeling a little healthier. Still have a ways to go but now I’m doing all the right things, thanks to all the good info websites. So be careful what works for others may not work for you!